Garage door: (2) 10’ x 10’ raised panel steel overhead doors. 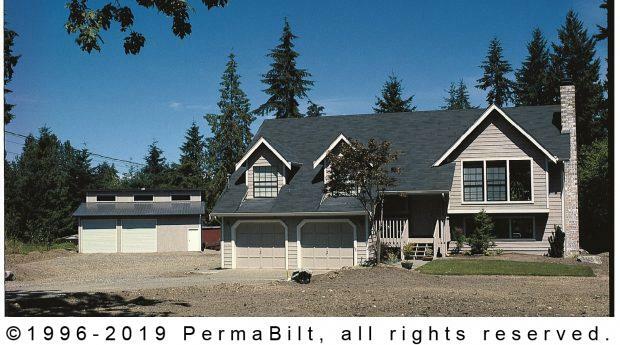 These clients in the Woodinville Washington area required a detached daylight garage and workshop that matched up with their existing home and fit in with its nearby country environment. 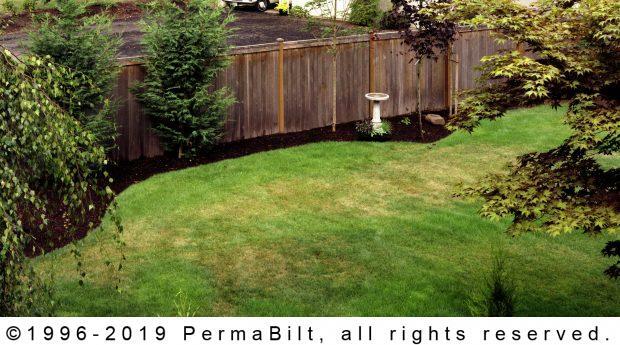 In an initial meeting with the clients, our PermaBilt® Building Representative reviewed several building options for their property. They fell in love with one of our more popular designs…the daylight garage and workshop! The (3) windows near the top of the building allow for plenty of natural light and the daylight design also makes for a pleasing, unique look while still matching their nearby home. With the site cleared, we started construction on this great looking garage. The daylight included 18” eave and gable overhangs and siding of T-1-11 with 8” grooves. Completing the building with both garage and walk-in doors, the couple could hardly wait to park their toys in their new garage and start working in their new workshop.